Group - No rider left behind. Ride cancelled for lightning, snow, or ice. by people driving their cars. Wear a black or red arm band if you can. 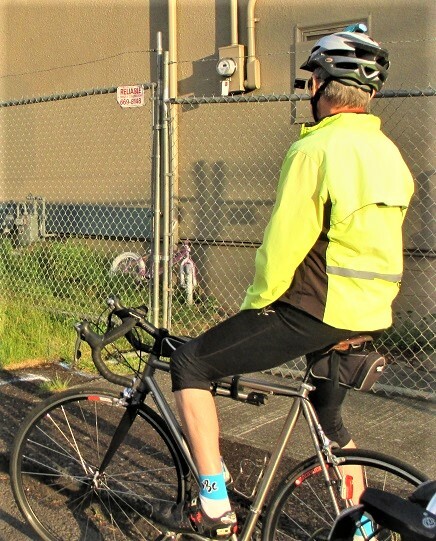 It should still be light when we ride, however, a front white light and a red rear reflector (or light) are required for night riding by WA law. You don't have to be a member to try us out but we'd ask that you join if you're riding with us consistently. Helmets are required. Lights (front and rear), Road IDs, cell phones, tool kit, mirrors, and pump are recommended. Check your bike and gear before you come to make sure it's in good working order. Seriously. Ride leader will bring maps/cues to the ride. You can see our route online at the Ride With GPS link above. Riders should be able to maintain the stated pace, but this is a "No rider left behind group." Please communicate with your leader if you decide to go off route. 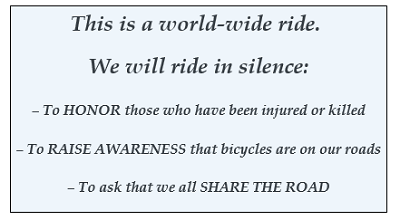 Remember - we want to be awesome representatives of the cycling community in Clark County and spread a love and respect for our great sport by obeying all traffic laws and riding in a safe and courteous manner. Ride safely. Parking lot behind (west of) Bike Clark County's shop, The Bike Shop.